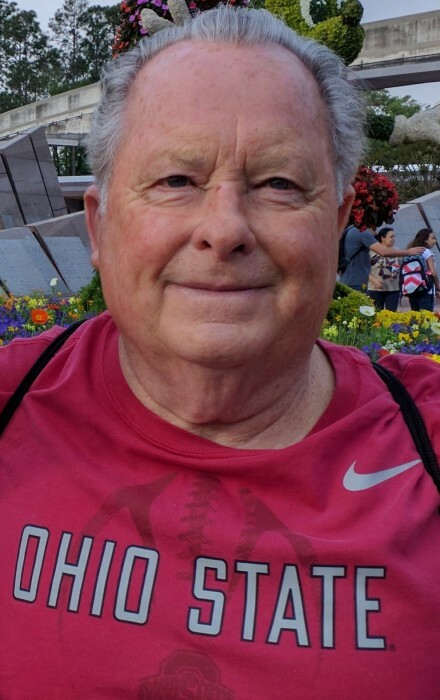 Thomas Charles “Tom” Dennis, age 73, of Bowerston went home to be with his Lord and Savior Friday, May 4, 2018. Born December 2, 1944 in Dennison he was a son of the late Charles and Iris Thompson Dennis. Tom graduated from Scio High School in 1962 after attending grade school in New Rumley. On September 16, 1967 he married the love of his life, Gail Timmerman Dennis. They were blessed with a daughter Ginger Dennis of Dublin, a son Andrew (Karen) Dennis of Hilliard; four granddaughters Abby and Emily Hardesty and Jordyn and Courtney Dennis all who survive. Also surviving are his loving family that includes a brother Bill (Mary Lou) Dennis of Jewett; his sisters Shirley Clark of Washington DC and Barbara (Tom) Carr of New Philadelphia; four nephews; three nieces; seventeen great nephews and nieces and farming buddies Calvin and Tracy Horn Logan, pinochle card cousins Eddie Gardner and Kathleen McRobie. In addition to his parents Tom was preceded in death by his father and mother-in-law Red and Winnie Timmerman and a brother-in-law Jeff Timmerman. Tom was a member of the Scio United Methodist Church, Harrison Lodge #219 F&AM, the DP Society and the Western Grill breakfast club. Tom loved to laugh and joke with anyone who would listen. The family is honoring Tom’s wishes by having him cremated with no public services. Those wanting to honor his memory can do so by making a donation to their favorite charity.